Like most college students, Alzheimer’s wasn’t something I thought about. In fact, I knew little about the disease – other than it robbed people of their memories. Then I happened to talk to a friend of mine who worked for the Alzheimer’s Association and I thought that interning with the organization could be a chance to offer my help while gaining some work experience. It felt invigorating and empowering to think of beginning a career this way. At that time, I didn’t know Alzheimer’s intimately. Soon after, I called my family to share the news of the internship. That is when they informed me of my grandfather’s recent diagnosis with the disease. BAM! Alzheimer’s sucker-punched me. Now I had a personal reason to fight. The day I began the internship, I simultaneously gained a clear sense of purpose for my career while coming face-to-face with Alzheimer’s. This was the day I began to lose someone I love to this insidious disease. I discovered a new form of heartbreak that millions have experienced before me – millions of people I would hope to serve. My grandfather, a person who has helped shape my world, can no longer remember his favorite life moments – like that he was the first person to hold me as a baby. Soon, he will not recognize my face. And I’ve learned that Alzheimer’s affects more than just the individual living with the disease. It is a devastating force that multiplies; it affects everyone caring for, or about, the person with the disease. And everyone will try and hold on, as the person with Alzheimer’s begins to slip away into a dark and viscous abyss of amyloid plaques and tangles. The loving moments we share as humans are the moments I fight for every day. What are we if not the love and life we have together as people? I work harder and with newfound passion so that others won’t experience the despair I now do when my beloved grandfather forgets my name. I fight to protect families like mine who watch their loved ones’ minds fade and memories disappear. I fight for those who endure a debilitating weight of stress as they watch the person they love disappear without actually dying. I fight for the precious memories we have that take a lifetime to collect that then painfully and nightmarishly vanish. I must fight, because the day I joined the Alzheimer’s Association was also the day my grandfather didn’t know he was talking to me. My grandfather will forget, but I will fight for a generation of young people who always remember. Our generation must make Alzheimer’s disease a priority or we are doomed to inherit this disease in exponential proportions. This disease may try and knock us out – but we must all fight back. About the Author: Evan Holler is a student at the University of North Florida in Jacksonville. instill the urgency needed to rid humankind of such a horrible disease. Unfortunately my Grandfather, and Father both suffered from this illness. that those of our younger generations will be free of such a debilitating disease. This is really well said. I'm watching my Dad slip away in exactly the way you described. Thank you for your work to end this awful disease. Thank you for all you're doing to help in the fight against Alzheimer's. It's a horrible disease and gut wrenching to witness in a loved one. It's hard watching the person we know and love slowly slip away, my heart goes out to you and your family. I am brought to tears, Evan, as I read your article! You will be in my prayers as I continue to pray for a cure for Alzheimer's. I am 78 years old. My dear husband just entered the nursing home at the age of 75 with this terrible disease. We definitely need to find a cure. Years ago when my mom had Alzheimer's, I was involved in a memory walk organized by the Alzheimer's Association. I am going to copy your letter and share it with folks hoping they will get on board for a fundraiser Memory Walk in our area. I have a grandson your age who recently graduated from U of M and a granddaughter graduating this year at U of M. Our grandchildren are going through the same feelings you are. Their papa (grandpa) has been a very important person in their life. I believe, Evan, you can make a difference. May God bless you and your family! Thank you Evan. I just joined the Alzheimer Association a few months ago. My sister who has Down Syndrome was diagnosed with Alzheimer Disease about 5 years ago. At the time I did not know how quickly she would deteriorate. Last October it became necessary to place her in a skilled nursing facility and this Saturday, on her 64th Birthday, we will bury her. The message I would want to share is visit your loved one as often as you can. Your time with them goes very, very quickly. Tell them you love them over and over again. I regret that I did not do these things and now I have to live with that regret. Thank you for doing your part to help find a cure for Alzheimer’s disease. You will never regret it. I was diagnosed with mild cognitive impairment more that a year ago. I can tell you, it's really sad for me too! I've always been very self aware and I feel it every day when I can't remember where to put away the dishes, and it takes so much longer to do common things, like did I already apply the conditioner to my hair when I'm showering. It feels like someone is slowly taking away all my toys and treasures. I try to find some good things about having this problem, but it's tough. Great and sad story. Kudos to him for wanting to lern of this horrible condition and want to help. During the past 10 years Alzheimers has become a pandemic just as many other diseases. It is time to go for the source and end it. Climate change is a new " diplomatic " term we have heard a lot about in recent years. It appears those most vulnerable will have little or no insurance coverage soon. It is a plan and time to hold those accountable who put the plan in motion. My mothers dementia has gone very quickly; she was admitted to a nursing home on New Years Day 2016 and at my last care plan meeting I mentioned that I thought it's moving rapidly. They agreed and said that they haven't had any experience with a resident that it has moved this quickly. I took her to a routine Dr.'s visit to her cardiologist; she cried all the way there in the wheelchair van and up to the point that we were in the room to check her pacemaker. She did fine through that and even watched the nurse and asked questions; when we were put into the room for the C.N.A. to take a history and then see the N.P., she started complaining of being hot (it was very warm in the room) and saying that she was going to have a heat stroke if we didn't let her out of that room. The C.N.A. brought her a fan, that didn't help and it only escalated.She kept trying to get out of her wheelchair and I had to physically guide her back to the chair; next, she started screaming "help me!" at the top of her lungs. I put her back in her wheelchair and decided we were done; she would not be seeing the Dr. today or any other day. Her pacemaker battery life is about one and a half years from needing to be replaced; I don't want to think about how that appointment would go! I met her back at the nursing facility and the staff took one look at me and said "Have you been crying?" And I just burst into tears again and said "yes, and I can't stop. She was awful today at that appointment and I told them the story. They looked at me like I was from Mars and said that she was happy as a clam when the driver brought her into her unit and they laid her down for a nap. Am I being selfish by not wanting to put her through that again? Should I just let the nursing home staff take her to appointments? I believe she is in the later stage of dementia. We are very sorry to hear about your struggles. Please call us at 800.272.3900 to speak with someone who can help talk you through this. 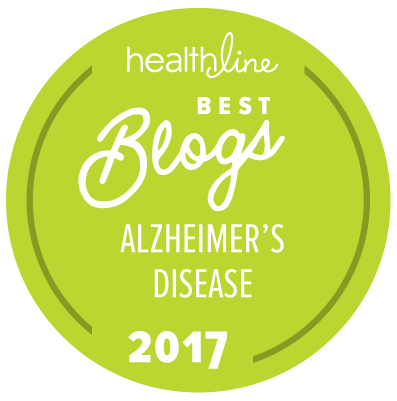 You may also benefit from joining our message boards at alzconnected.org, where you can communicate with other people going through similar situations. Our Helpline is free and available 24/7. The writers should be commended for their accurate portrayal of this dreaded disease. The scenes where Dina was being tested with memory skills was spot on. I lost my mother to this nightmare and look forward to Y and R educating their viewers more each episode. Bless you for having the courage to ” go there” and enter into the darkness and heartache of Alzheimers. Thank you.